I started my first podcast in 2013. It was a DC Comics podcast and it got me hooked on the medium. The excitement never lets up; every day is new and after producing over 700 episodes, I still feel the same way about podcasting. Are you like me? Are you excited about podcasting, too? I’m not talking about the industry, here. Are you excited about your podcast? Do you give it the care, attention and love needed to nurture it and allow it to flourish, growing into the success that you dream, wait, no – the success that you know it can be? Are these ‘good’ numbers? Why has my growth slowed down? Why can’t I just get those hundred/thousand/ten thousand extra downloads? Since building Podcast Websites, developing that to become a part of Rebel Base Media, speaking all over the world at podcasting events such as Podcast Movement & PodFest and being lucky enough to deliver talks at lifelong “dream” venues such as Harvard University, I’ve been watching, I’ve been listening and along with my amazing Rebel Base Media team, we have been creating. We have been creating a podcast hosting company built upon the world-class podcast hosting that we created as part of the Podcast Websites platform. The world’s only growth-oriented podcast host. Every day, we receive emails from podcasters all over the world asking to be a part of the renowned service, quality, support and family that we have created with the Podcast Websites platform & brand, but who already have a web solution in place. And so, Captivate was born as part of the Rebel Base Media suite of podcasting tools. We’re called Rebel Base Media. We don’t do things the same as everyone else. Does Captivate provide everything that you’d expect from a leading podcast host? Does it run on the same content delivery network as the traditional podcast hosting platforms so that you can be assured of Captivate’s stability? Do you benefit from the same level of 24/7 support, care and attention that has made Podcast Websites the choice for a new generation of podcasters? But Captivate is so much more. We’ve spent the last three years asking questions that no other podcast hosting company has asked and more importantly, we’ve spent the last three years listening to what matters to you, the passionate podcaster. 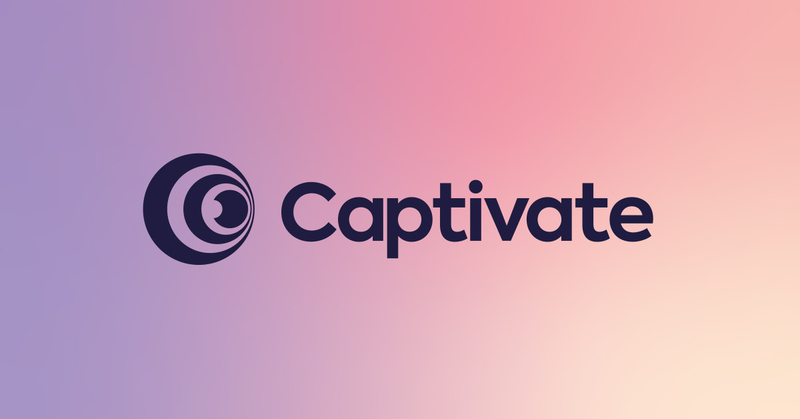 Captivate.fm launches in January 2019 with everything you’d expect a podcast host to provide, followed by the release of a suite of intelligence tools that will allow you to measure what matters to you and your podcasting brand, on your unique path to becoming the audio influencer in your niche. Captivate is set to revolutionize how we think about everything from an embeddable podcast player to how you interpret the data that matters to your podcast. From day one, we have developed Captivate, to answer the questions that we’re all asking ourselves about our podcast and our brand. And we’ve developed Captivate for humans. For the ordinary podcaster like you and me. Captivate is powerful, but we’ve made sure that it’s also simple, friendly and clear. The Rebel Base Media engineers, led by our CTO Kieran McKeefery, have worked hard to develop something that acts as your partner in the growth of your podcast. As we release new features moving through Q1 & Q2 2019, we’ll be giving each the care and attention it deserves to serve you in the very best way possible. Captivate is included at no extra cost as part of the complete Podcast Websites package and integrates beautifully using our Captivate Sync system which is being rolled out to members beginning this week. Alternatively, you can host your podcast with Captivate without the use of Podcast Websites for a flat, tier-free price. Captivate.fm is available for pre-registration, now. By pre-registering, you’re under no obligation to sign-up in January when Captivate opens to the podcasting world, but you will secure everything you would expect from a leading podcast host, including unlimited podcast hosting, full download statistics and moving forward, access to the whole range of revolutionary tools that we roll out during 2019, for the launch price of $9 per month. Oh, and we’ll migrate your podcast from any podcast host, to Captivate, for free. Pre-register for Captivate.fm, now and secure the $9 per month price that you’ll receive when you choose to sign-up in January. It’s time for podcast hosting to evolve. Note: All Podcast Websites members currently paying $10 over and above their Podcast Websites platform investment will enjoy the removal of that extra $10 per month, starting on their next billing date. Mark is the CEO and co-founder of Rebel Base Media whose journey into podcast technology began in 2014. An accomplished founder, Mark is also a passionate podcaster and wears a hat mainly to cover his ever decreasing hairline.